At the end of the work week, you deserve a treat with a leisurely dinner of seafood specialties at the Harbour Café in Traders Hotel, Puteri Harbour. Selecting your food choice from a spread of scrumptious seafood after a busy week will shift the focus from work to good food to celebrate the start of your weekend. This was what Chef Neow Kok Meng had in mind when he created the Friday Seafood Fiesta at the Harbour Café. From 6.30pm every Friday, the Harbour Café is transformed into a seafood centre where a range of fresh crabs, mussels, prawns, yabbies, squid and fish are served to please the discerning palates of seafood lovers. Unlike most dinner buffets that only serve ready-to-eat items, chefs are stationed at various sections of this buffet to meet your request and prepare your pick of seafood to your preference. This gives guests the flexibility to ask and if the ingredients are available, it will take just a few minutes to serve up a freshly cooked seafood item in your favourite flavor! On the other hand if you are a fan of raw seafood, then ask the chefs for your choice of sashimi items from fish, squid and eel specialties at the Japanese station. Otherwise, take your pick of sushi from the prepared selection and savour your choices with a dash of wasabi and soya sauces. A range of appetizing Japanese pickles and chilled soba noodles are also available. To whet your appetite, you can start from the Appetiser Station where a range of seafood is used extensively in the preparation of a colourful choice of appetisers. Among the items are seafood potato salad, Thai-style marinated squid with slivers of mango and dried shrimps, dill marinated Japanese cucumber with octopus and even a peanut crusted tuna salad. It’s important that you do not get distracted by the choices here because there are plenty more to pick from the other sections of the buffet. Seafood purists can take your pick from the Chilled station where boiled prawns, mussels, scallops and other shell fish are kept chilled on a bed of ice to eat with a twist of lime juice. At the Indian station, fish, prawns and squid are freshly baked from the tandoor oven and you can ask for fluffy cheese naan to savour with your seafood. In the adjacent Barbecue station, your choice of seafood can be enjoyed with a range of interesting sauces from tomato-based non-spicy flavours to the cut red chillie with onion slivers in dark sauce type of sauce! Meat-lovers at the seafood buffet will be delighted that there is also a delectable beef roast to enjoy with a choice of sauces while fans of noodles and dim sum can assemble their own bowls of soupy or curry noodles topped by fish balls and other seafood items. If you prefer to pick from ready-to-eat items, then the Asian station offers choices like steamed grouper with black bean sauce, wok fried cereal prawns and mock shark’s fin soup with crab meat. As you finish your meal sweetly with a array of delectable desserts and hot coffee or tea, you will agree that this is a fine way to celebrate your weekend after a busy work week. Mud crabs freshly cooked in rich chilli sauce; Don't forget to get some bread to mop up all that yummy gravy! 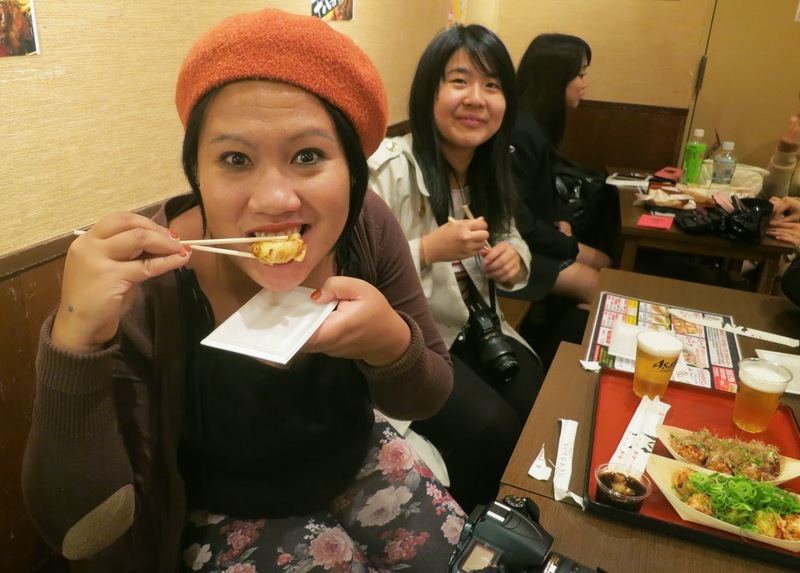 My friend from Jakarta, Sika, is a great fan of takoyaki and on our arrival in Osaka, she suggested that we visit the Osaka Takoyaki Museum. It’s interesting that takoyaki, a ball-shaped Japanese snack, usually filled with diced octopus, has been exported abroad and garnered many fans in Indonesia and Malaysia. 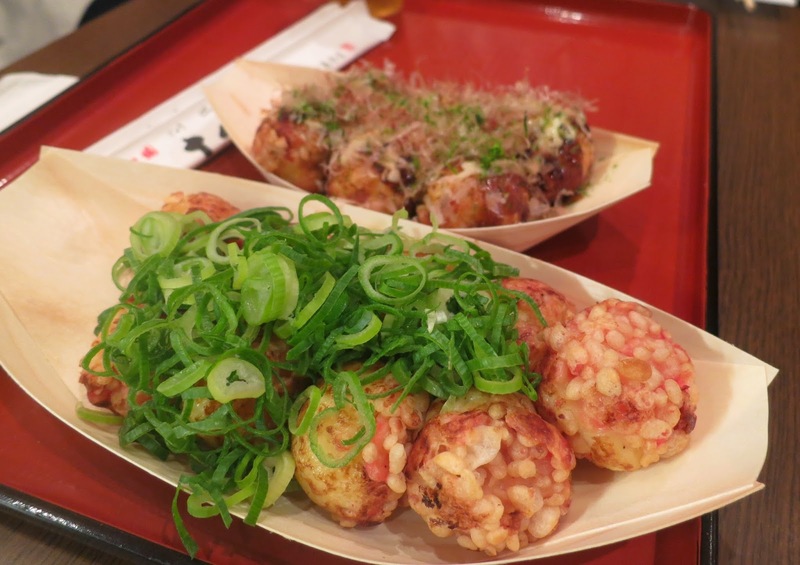 We checked with Google and agreed that it’s a must-see site because takoyaki was first made popular in Osaka where a street vendor named Tomekichi Endo is credited with its invention in 1935. I never knew that Osaka is the birthplace of takoyaki, so we made it a point to find our way there. In Malaysia, takoyaki is usually sold by vendors in food courts and shopping malls, served hot topped with takoyaki sauce and mayonnaise and garnished with shavings of dried bonito fish. These vendors are easily recognised by the cast iron griddle with half-moon moulds where batter is poured in and grilled. 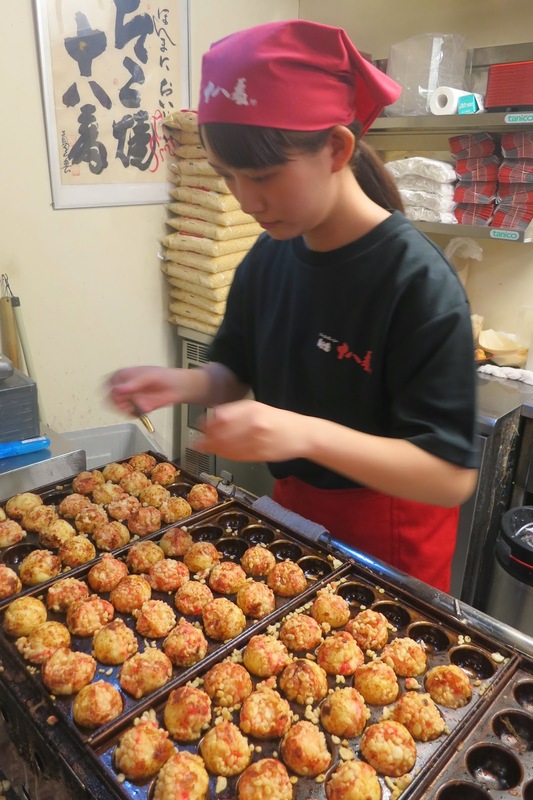 The vendor will use a pick to turn the takoyaki around in the mould to ensure that the hot snacks are evenly cooked all around. Filled with excitement, Sika and I set out to look for the museum which is dedicated to this popular street snack. 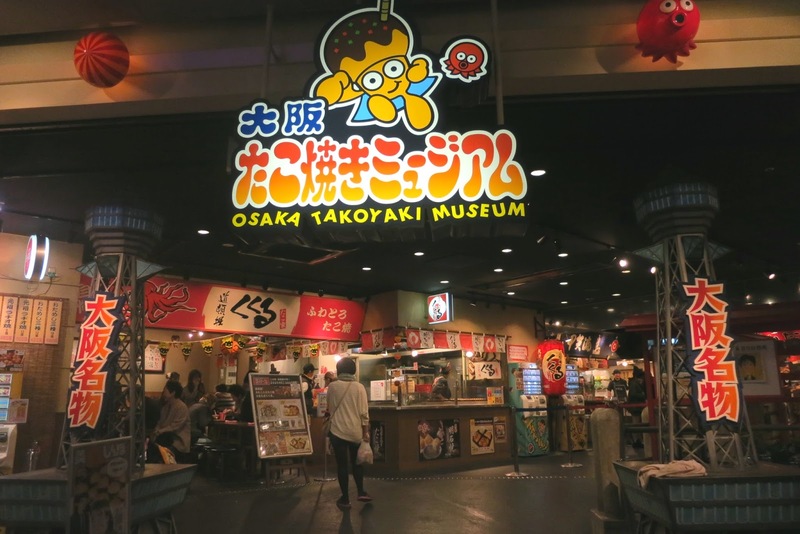 To our surprise, we discover that the Osaka Takoyaki Museum is located within the Universal Studios City Walk among the shops in the mall, just a short walk from Universal City Station. Until we read the sign above, we did not realise that we have found the place because it’s not laid out like a typical museum. 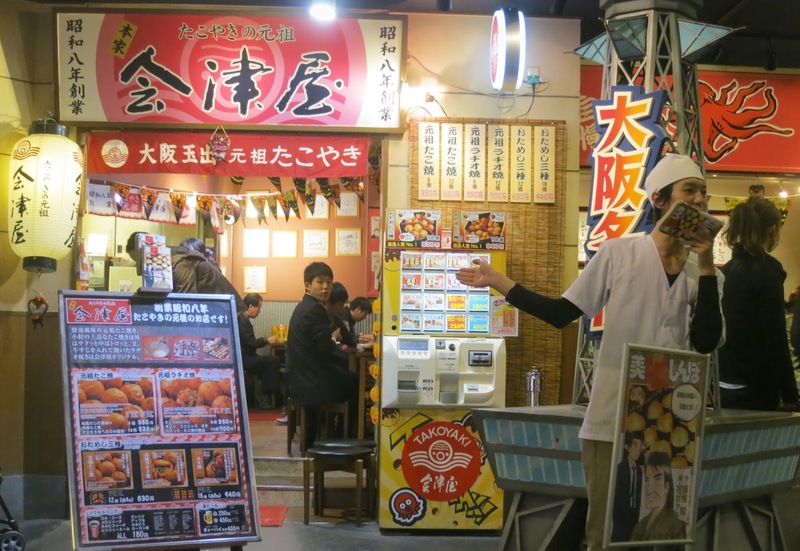 In fact, it’s just a food court with five of Osaka’s most popular takoyaki shops in one place! We reassured ourselves that even though it’s not quite a museum, it’s still a place where we can savour a choice of takoyaki with a variety of fillings. The tables in the compact dining areas are filled with diners and a queue is waiting for takeaway orders from a window along the corridor. And while Sika walked around the shops to look at the types of takoyaki she can order, I cannot help being distracted by a vendor standing outside his shop, shouting non-stop in Japanese like a traditional town hailer. I guess he’s probably extolling the superior qualities of his takoyaki to promote better sales! Admission to this museum (which is not quite a museum) is free but we have to pay for our food. Placing our orders is a bit of a challenge because it is by vending machines and even though there are pictures to help us pick our choices, a bit of guesswork is necessary. But nothing can go wrong because Sika is keen to taste a wide variety of her favourite takoyaki! When we finally put down our chopsticks, we can agree that the authentic taste of Osaka takoyaki is worth our visit to this museum. Freshly made takoyaki choc-full of chopped squid! Sika sinking her teeth into her favourite snack - takoyaki! We have no complaints about the generous size of the takoyaki balls and the variety of fillings like diced octopus or grilled eel as well as the various interesting toppings. But the only regret is that our stomachs cannot stretch further to hold more freshly-made delicious takoyaki! On our way out, I see a small shop that stocks a range of souvenirs. 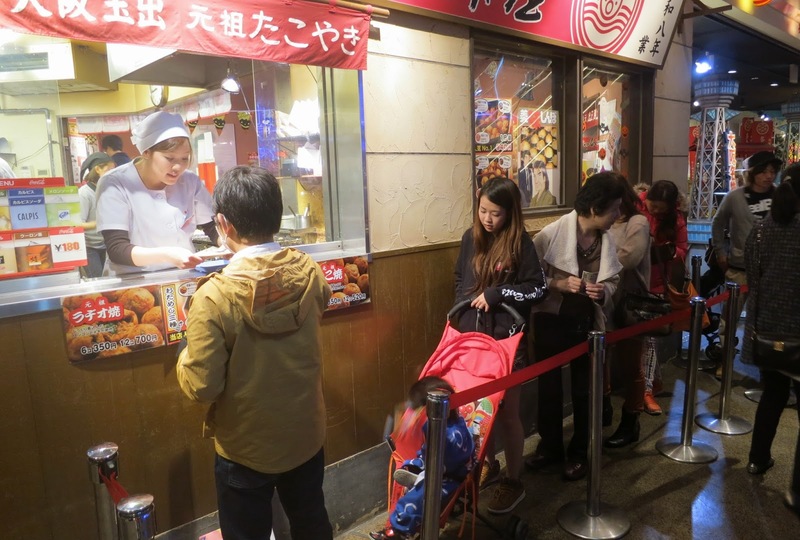 The Osaka Takoyaki Museum at 6-2-614F Shimaya, Konohanaku, Osaka, Japan, is open daily from 11am to 10pm. The drive to Setia Tropika should have been a smooth but a truck decided to break down almost exactly at the crossing with Jalan Tampoi and caused traffic to build up into quite a long queue. My lunch date with Blessie was postponed twice – once by me and the other time by her – but we finally agreed on today and it looks like I’m going to be late. I’m not good with long queues and the pelting rain, coming down in a steady downpour, is obliterating my view as I head on after leaving the traffic snarl. I remember bumping into Blessie and her husband C S Choo on one of our morning walks at the Merdeka Park last year but we have not met again since. It occurred to me that I have some “history” with this couple because when they were married some 23 years ago, I was the Master of Ceremony at their wedding banquet. It seems like such a long time ago since we parted ways and they went into the Food & Beverage business to operate the Vivo chain of halal quick service restaurants. I have dined at Vivo in Plaza Pelangi and saw its outlets at malls like Sutera Mall, Aeon Tebrau City and Aeon Bukit Indah in Johor Baru. Little did I know that they have also opened outlets in Kulaijaya, Segamat, Malacca and Aeon Bukit Tinggi, as well as in Empire Shopping Gallery, 1Utama, The Curve and Times Square in KL! The rain did not let up at all as I make my way towards the Tropika Welcome Centre where the latest outlet of Vivo is located. Setia Tropika is a relatively new area in Johor Baru but it is fast getting familiar with the locals because several government offices, including the Immigration Department, have relocated here. As I draw closer, I can spot the sign with the Vivo logo among the names of other eateries that are situated on the Centre’s ground floor. It is lunch time and all the parking spaces nearest the Centre are occupied so I take a turn around to the adjacent parking lot where ample spaces are available. After months of drought, the heavy rain is very welcome and I have the chance to use my umbrella again as I carefully avoid puddles in my brisk walk towards the Centre. After 13 Vivo outlets and 4 children, Blessie looks as radiant and robust as I first met her so many years ago when she came to Johor Baru from the Philippines. Speaking with a just hint of her distinct accent, she warmly welcomed me to Vivo at Setia Tropika, their first outlet which is not located within a mall. She said many diners prefer to head directly to the eatery instead of going into a shopping mall for food so this outlet is seeing regulars who seem to enjoy this concept. A whole prawn in my slice of Prawn Pizza! There is so much for us to catch up with each other but I must first congratulate her on the recent opening of this newest outlet of Vivo at Setia Tropika. The restaurant has a menu of more 100 items including American-style pizza, pasta, Panini as well as rice items to meet the taste of Malaysian palates. In between sips of drinks and bites of tasty food, she told me about their plans to open more branches nationwide this year and eventually make Vivo a household name! I learnt about Vivo’s Chicago origins and while they have adopted the American quick service restaurant concept, they have also modified some of the recipes to match local tastes. The items are presented in a pictorial menu for easy selection and when our choices are served, I can see that the pizza toppings are generous, the portions are good value for money and when I sample each item, I’m impressed by the full flavours from fresh ingredients. This is very satisfying and certainly reflects the sentiment of their tagline, Live with passion! I warned Blessie that I usually have small meals but she went on to recommend the Must Try items and assured me that any pizza leftovers can be packed as takeaways for me to savour again later. I can hear the pride in her voice as she introduced me to their Mango Delight, a drink made with fresh mango specially imported from the Philippines. Filled with sweet mango puree, this tall drink is capped with fresh cream dotted with slivers of fresh mango for a truly delightful mango slushy experience. As we are sharing the food items, I have the chance to sample some of Vivo’s popular mains like the Baked Chicken Chop that comes in a choice of sauces and we picked black pepper served separately with a side of buttered rice and salad greens. Another favourite is the Seafood Spaghetti Aglio Olio with salmon chunks, mussels and plump prawns, tossed in an appetizing spicy sauce. Pizzas are particularly popular at Vivo not only because they are 33% bigger in size compared to other brands but because they are evenly topped with more ingredients. Pizzas here are 8” for Small, 11” for Medium and 14” for Large, served in a choice of thick or thin crusts. Our Prawn Pizza is a 10” thick crust premium pizza and when served, I can see whole prawns in every slice and I thoroughly enjoyed every bite of the thick and fluffy pastry! When I sink my teeth into the thin crust Smoked Chicken BBQ pizza, I can taste a distinct but delicious smoky flavour from the slices of smoked chicken among the chopped capsicum and melted cheese. Made with fresh shitake mushrooms, aromatic pesto sauce, cream cheese and almond flakes, the thin crust Bed of Mushrooms pizza, a vegetarian favourite, is fast becoming my favourite too! “There’s no short-cut to a good product,” said Blessie as she watched me enjoying the food and I agree because I can taste the fresh ingredients – real slices of fresh mushrooms and whole prawns – wow! Just as I’m ready to pack the rest of the pizza for takeaway, Blessie reminded me that there’s just one more item that I must try – Honey Baked Chicken Wings. I’m already using my fingers to eat the pizza so I just went on to pick up a chicken wing and bit into it. The evenly marinated meat is tender with honey sweetness and as I lick the bones clean, I’m glad I still have a little space left to savour it. with its picture in the menu! Usually the meal is not over until dessert is served but this time I must decline the tempting offer of their Volcanic Chocolate with Ice-cream so that I can enjoy it better at another time. But Blessie still insists that I must end the meal sweetly and recommends the Choco Brownie Mallows – a tall chilled chocolate concoction topped with fresh cream and lots of tiny marshmallows! She said her children love this and most customers do too. Very often we complain that the item served does not look like the picture in the menu but here, the picture in the menu is labeled Actual Size and when I put my glass against the menu, I can see that it is indeed identical! Feeling comfortably full, I bid farewell to Blessie and assured her that I will certainly be back again to taste more from their wide menu. With one hand holding my folded umbrella and the other holding a carrier with my Vivo takeaways, I walk towards my car and am pleasantly surprised when a driver on a buggy offered to ferry me to my car. I declined politely because I need the exercise and as I walk on my thoughts are centered on the pleasure of reconnecting with old friends and celebrating their success with them. Vivo @ Setia Tropika is at Unit G2, Ground Floor, Tropika Welcome Centre, Setia Tropika, 81100 Johor Baru. For reservations, Tel: 607 – 232 6229. P.S. My oven warmed takeaway pizza still tastes so good a day later! March 11 marks three wonderful years since My Johor Stories was launched three years ago. It seems like only yesterday that I was talking with Chris, my blog sifu, about putting together a blog. I remember how we would sit in the Johor Golf and Country Club clubhouse after lunch, chatting away while his dad, Uncle Mike, sipped his favourite iced Milo drink. I’m glad it was not just talk because it was followed by much action. With the help of Andrew, my techie nephew, we secured my blog address: peggyloh.com and while Chris designed the blog layout and its banner, I compiled and uploaded my articles in the various categories. This exercise was quite tedious [at least for me!] especially with a sifu who challenged me in the tradition of sifus, to do it with the very little I knew about blogging! My blog is inexplicably linked to Uncle Mike because Chris returned from the US to be with him and we hatched the idea to create My Johor Stories when we hung out together in the golf club and at Rotary Club of Johor Baru events, which were a huge part of Uncle Mike’s life. In fact, on the day that My Johor Stories went “live” I was at an event in Kulaijaya for the farewell of a retiring headmistress of the secondary school which Uncle Mike was the first principal. Headmistress Chong was Uncle Mike’s former student and she honoured him as Bapa SSI in a simple ceremony. Then as I was leaving the event, I heard the news that Japan was hit by a massive earthquake and tsunami in a double catastrophe. As a regular guest of Uncle Mike at Rotary dinners and events, I was introduced to the members and the club’s community work. Over the years, I had the opportunity to highlight their humanitarian projects that ranged from various fund-raisers, medical camps, the Rotary Haemodialysis Centre, environment protection activities to the Walk to End Polio events that were aimed at benefiting the community. It was “all in a day’s work” for me and that’s why I was pleasantly surprised when I was told that the club wanted to honour me with a Paul Harris Fellowship [PHF] Recognition! Named after Paul Harris, who founded the Rotary International movement in 1905, I learnt that the PHF is indeed a prestigious recognition and I’m deeply honoured to receive it. Looking back to the many opportunities in working with the Rotary Club of Johor Baru, I must acknowledge that my friendship with this 62-year old club started with Uncle Mike. I may seem a bit sentimental but I wish to share this recognition with Uncle Mike who first introduced me to the club. When I received the award in the club meeting held in conjunction with Chinese New Year, Uncle Mike could not be with me in person but I knew he was there in spirit. 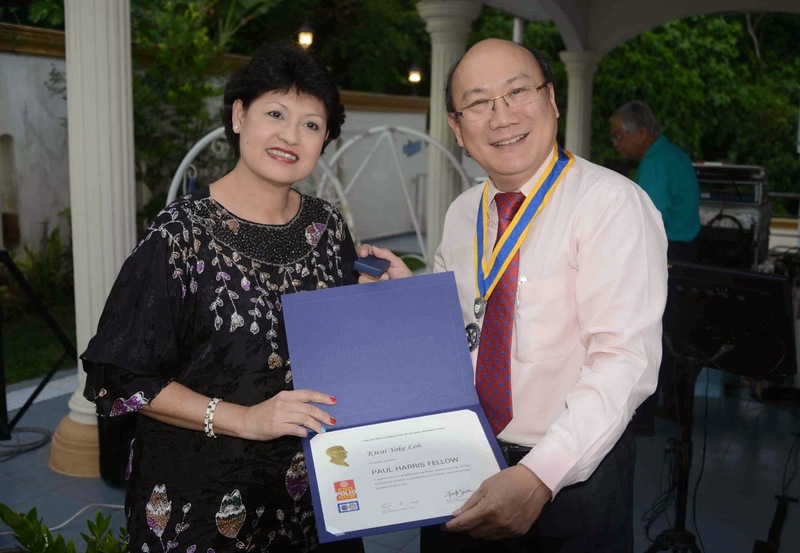 Club president Tan Chee Seng presented me with a certificate and a Paul Harris Fellow pin and as we posed for photos, I was suddenly overwhelmed by a strange feeling that I soon realised was how much I miss Uncle Mike. Incidentally, the event was held in an outdoor setting and it was uncanny that at the very moment when I received the recognition, there was a sudden deafening boom of thunder that made us jump. As we recovered from the shock, some of the members joked that even God was sounding his approval! I was told that I can now officially use the initials “PHF” next to my name but I’m already much encouraged to know that I was recognised for meeting Rotary International’s high professional and personal standards that were set forth by Paul Harris. My posts in My Johor Stories continue to interest readers and I’m still getting emails from readers whom I am connecting with their long-lost friends that were featured in my stories. Recently I got an email from a reader in Cairns, Australia who spotted a friend in my blog whom she was trying to contact for years while another reader in Australia asked me where I had my spare tyre cover made. I provided her with the contact info of the dealer in Perth and she just wrote me again saying that she now has one custom-made with her favourite underwater scene! At the moment, Chris and I are working on taking My Johor Stories to the next level by expanding it with a few more interesting categories. It is going to take a bit more effort in time management on my part especially as I’m also doing assignments with various segments of Life & Times and considering contributing to other publications, both local and abroad. Meanwhile, we’ll have a quiet anniversary celebration for My Johor Stories and continue to work hard at presenting more exciting content to please loyal readers like you! ﻿The annual in-house horse riding competition at Riders Lodge from Feb 21 to 23 gave their students an opportunity to show off their riding skills while competing in a range of Show Class, Dressage, Show-Jumping and Gymkhana events. The weekend was filled with thrills and minor spills, a great deal of excitement as fears were overcome by sheer grit as well as the birth of friendship and sportsmanship among the riders. 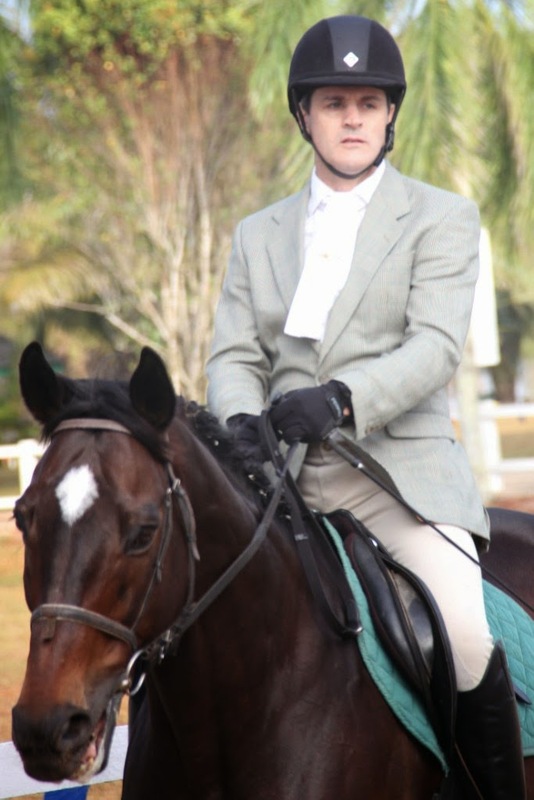 With the professional training at Riders Lodge and the support of friends and parents, the riders displayed admirable poise and resilience in this competition. The prestige of this annual event was elevated to new heights with the return of guest judge, Maria Milagros Belosfsky better known as Mitos Belosfsky, a Federation Equestre Internationale (FEI) or the International Federation for Equestrian Sports show-jumping judge from Manila in the Philippines. 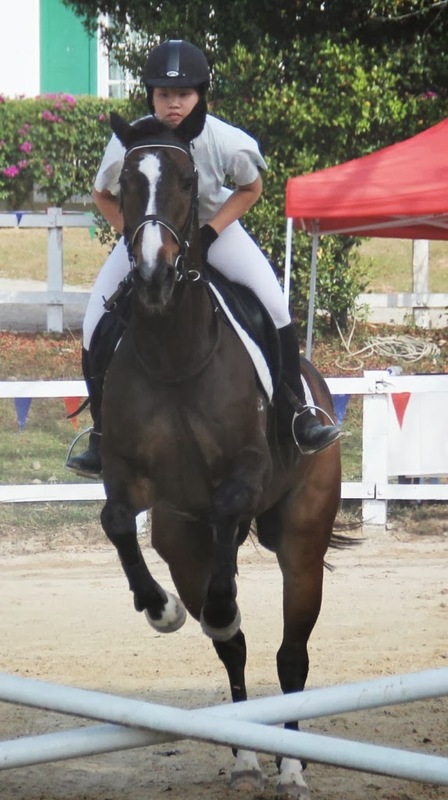 Mitos, a FEI show-jumping judge since 1992, has travelled around the region to countries like Malaysia, Thailand and Indonesia for equestrian events and is keen to encourage youngsters to make a name for themselves in this sport. Since coming to the event last year, she continued to be impressed by the riders’ enthusiasm, their parents’ support and how well the event was organised at Riders Lodge. Smartly dressed in jodhpurs, riding boots and helmets, the riders braved the tropical heat to ride beautifully under sunny skies and compete in the schedule of events. After the serious events, the participants had some fun in dressing up both horse and rider in a creative theme for the Fancy Dress contest. They paraded around the paddock and were judged on several criteria including their answers to a few questions from the judges. “We have an interesting mix of riders this year, ranging from the youngest child aged 8 to David Cox, a solicitor from the UK who works in Singapore,” said Show Director, Sennett Tzinberg, at the prize-giving ceremony held at the close of the 2-day competition. 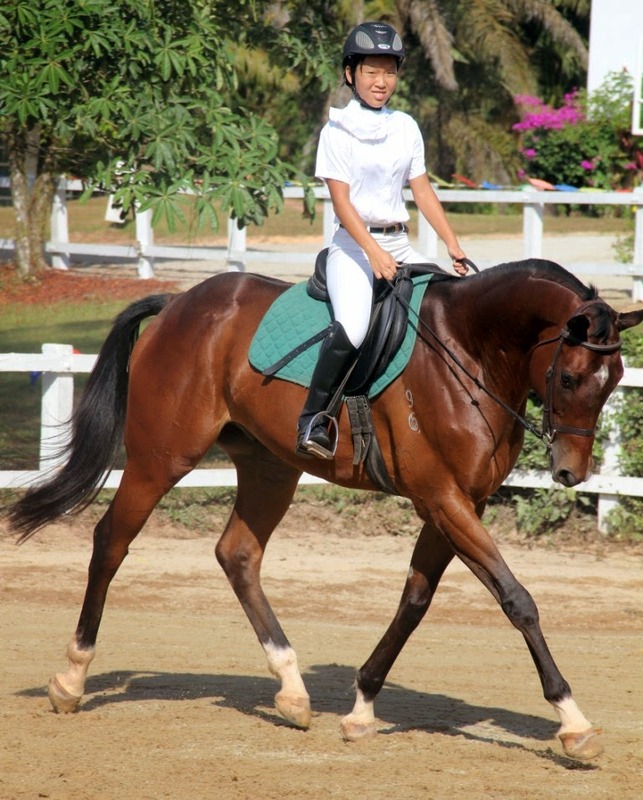 “We are so proud of our riders because the scores in Dressage have set a new record at Riders Lodge,” added Tzinberg, who owns the resort with his Filipina wife, Agnes Tolentino. The students attend riding lessons at Riders Lodge at least once a week and usually train more regularly if they were going to participate in a competition. The students’ ages range from 8 to 21 and many of the young adults were trained at Riders Lodge since they were children. Audrey Wu and Jolene Lee are among the participants who were trained at Riders Lodge from young and these young ladies love horses so much that they have taken up studies in Veterinary Science. 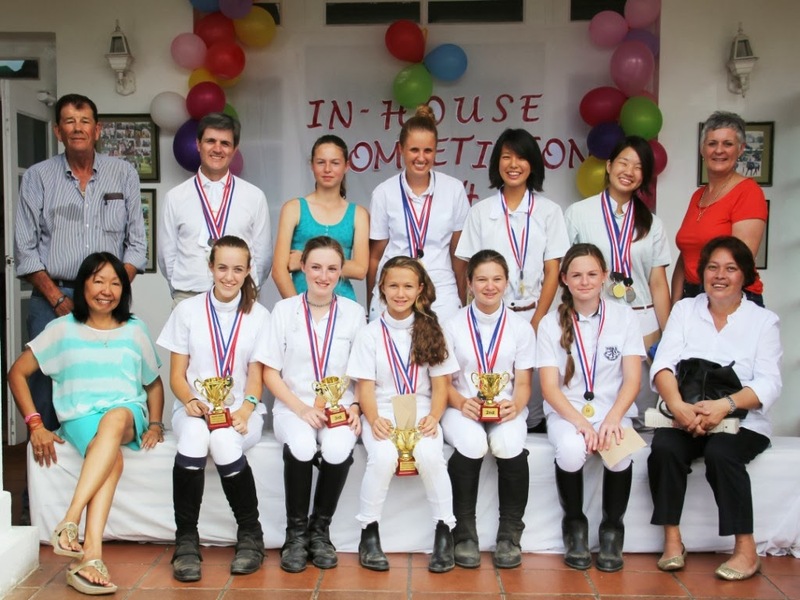 “The significant number of UK riders at our competition this year is made up of students from the new Malborough College in Nusajaya, Iskandar Malaysia,” said Agnes, who named the six participants, Olivia Ramsay King, Lucy and Charlotte McNamara, Jasmine and Abigail Waterfall and Phoebe Cox. Open in 1999, Riders Lodge is a family oriented leisure getaway for pleasure horse riding and training in professional riding courses. Some of their popular courses are the 2-day Learn-to-Ride course and the 5-day holiday residential camps. They also have a 3-day-2-night Riding Camp package for students to learn new skills in horse management in an itinerary with nature walks, learning to make local crafts and playing local games. Sisters, Charlotte [Left] and Lucy McNamara with Rocky, took second place as "Rainbow Hippies for Peace and Love"
as "Rebels with a Cause: Save the Endangered Species in Malaysia"
The resort’s hallmarks of personalized service and great food in Agnes Café have kept regulars coming back, not just for riding on jungle trails and through palm oil plantations but as a retreat from the pressures of city life. In 2006 and 2007, Riders Lodge received the Excellence Award for Best Child-Friendly Resort from Expatriate Lifestyle Magazine. The Best of Malaysia Awards – Travel Awards – recognised Riders Lodge with an Excellence Award for the Best Family Holiday Resort in 2009. Visit www.riderslodge.com.my for more info on the resort.